To his listener–and the reader–that’s the rub. While investigating his father’s suspicious death, James Maxted is working blind, whereas every move he makes stands out as plain as day to an ever-increasing array of interested onlookers. Are they friends or enemies? Or could they be both, depending on the circumstances? But let’s start at the beginning. The time is March 1919; the place, the Maxted family estate, near Epsom, England. James, known to all but his family as Max, has recently been repatriated from a German prison camp, where the former fighter pilot spent a lengthy stint. However, it’s a tense homecoming, for Max has never gotten along with his family, and his father has just died. 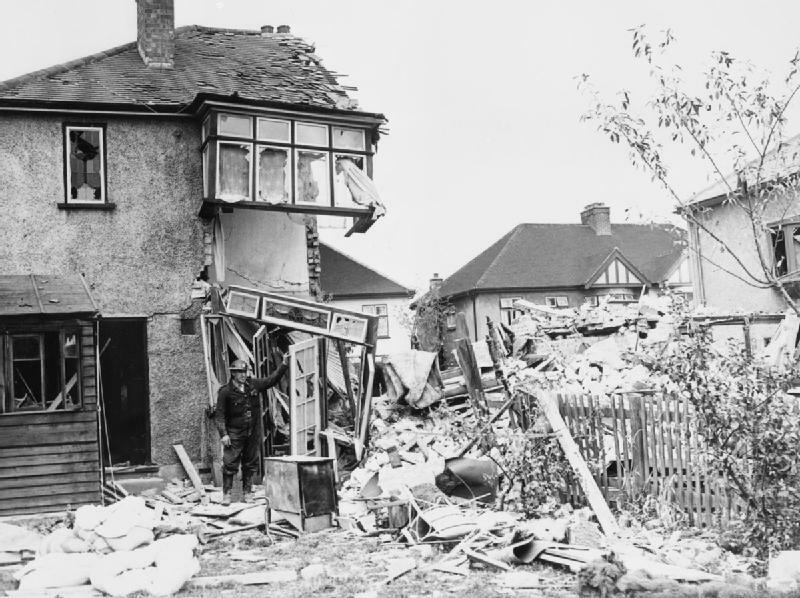 Sir Henry Maxted, a career diplomat working in a minor capacity at the Paris Peace Conference, has fallen off a roof, in what the Paris police are wont to call an accident. 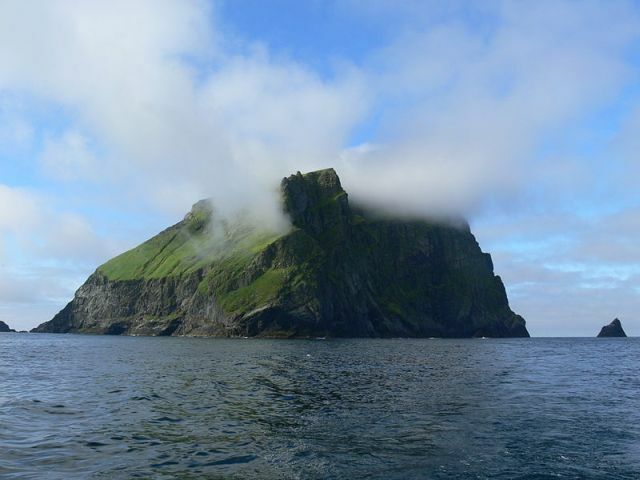 James and his elder brother, Ashley–Sir Ashley, now, and proud of it–are to fetch his body home for burial. Now, you don’t really believe that an experienced member of the Foreign Office would just happen to tumble off a seven-story Montparnasse apartment building while–coincidentally–the great powers were meeting to reconfigure the postwar world? I didn’t think you would, but what’s important is that James doesn’t, either. Despite his elder brother’s impatience–nothing must encumber Sir Ashley’s smooth inheritance of land and title–James sets out to learn the truth. 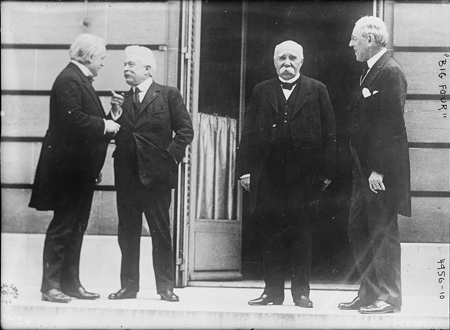 David Lloyd George of Great Britain, Vittorio Orlando of Italy, Georges Clemenceau of France, and Woodrow Wilson of the United States, in Paris, 1919 (Courtesy Library of Congress). And what a complicated truth it is, which reveals to Max more about his father than he’d have ever suspected, and of the often dirty profession he followed. First of all, there’s Corinne Dombreux, the lovely, young woman who lives in that Montparnasse apartment. Her late husband was spying for the Russian monarchy. Or was it the Bolsheviks, and was he playing a double game? Either way, the French security service considers Mme. 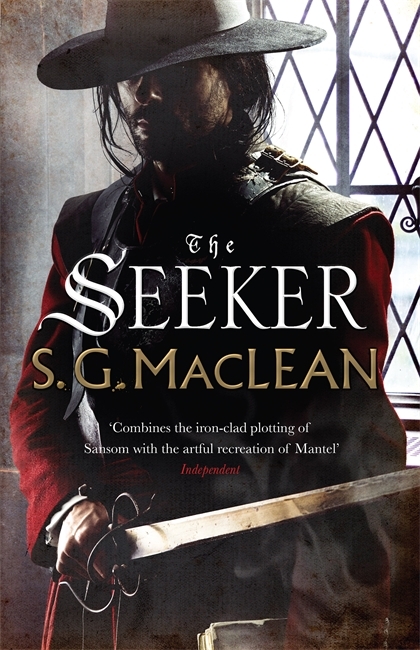 Dombreux a potential enemy; her connection to Sir Henry opens up all sorts of unfortunate scenarios, as Max only gradually becomes aware. This is where Goddard excels. He unfolds his narrative like a jeweler, one facet at time, and just when you think you might have glimpsed the extent of the stone, he shows you another facet, and another, until you’re not sure just how big it is, or how many reflections it casts. That, of course, is Max’s viewpoint too, and just as you don’t know whom to trust, neither does he. First appearances always deceive, except concerning Max; his unpleasant brother and sister-in-law; and Sam Twentyman, his former sergeant and would-be business partner. Reversals and double-crosses, the necessary “no–and furthermore” I so admire, spill from the pages. Yet The Ways of the World doesn’t satisfy me, and though I’m glad I read it, I’m unlikely to follow the series further. (Both the cover and the last page promise more adventures.) I share Goddard’s love for intricacy, and I’m always ready for a good yarn, but I think the author gets ahead of himself, so that, at times, the machinery of The Ways of the World clanks like a rough-firing engine, when it should tick like a watch. For instance, many, many bodies fall, which feels both excessively gruesome and a pat way of ratcheting up the tension. Also, I thought Goddard rescued the good guys rather too easily a couple times, and the ending feels like a cop-out. I was further disappointed not to see Paris. There are plenty of place names and métro stations, but those details don’t make up the city; the narrative could have taken place anywhere. Not everyone can be Alan Furst or Robert Harris (or should be), but I’d have liked color, sense of 1919–and fewer French characters who happen to speak impeccable English. I’d love to find a first-class thriller about the Paris Peace Conference. The Ways of the World isn’t it; it’s good, but I doubt it will stay with me.